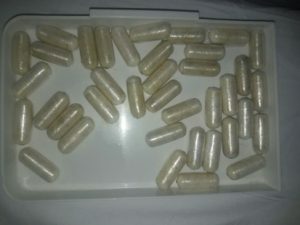 A 39-year old man ,believed to be the latest person to attempt to smuggle cocaine by swallowing it, was Tuesday morning taken off a Canada-bound flight and has since excreted several suspected cocaine pellets, the Customs Anti-Narcotics Unit (CANU) said. The law enforcement agency identified the man as 39-year old Julius Fidel Watkins of 2nd Street, Cummings Lodge, East Coast Demerara. “He was escorted to a city hospital where he was admitted, medically examined and up to present he has excreted a total of 86 suspected cocaine filled pellets. He is expected to have swallowed over 100 pellets,” CANU, an entity of the Ministry of Public Security. Even as Watkins remained under observation, CANU cautioned that the swallowing of narcotics is a dangerous practice. “It is important to note that these practices are hazardous to the health of the intended trafficker and can gravely compromise life,” the unit said. Usually, persons who have ingested cocaine are charged with being in possession for the purpose of trafficking. They could be sentenced by a magistrate for up to four years imprisonment plus fined several times the value of the narcotic.